Our indications are given for a woman's chart. For a man, the meaning is quite the same, except that it is exactly the other way around. So, it is very simple to adapt our texts to the opposite gender. And don't forget to take a look at our advanced advices about astrological compatibility, at the free Love test and of course at the free CeleStar. 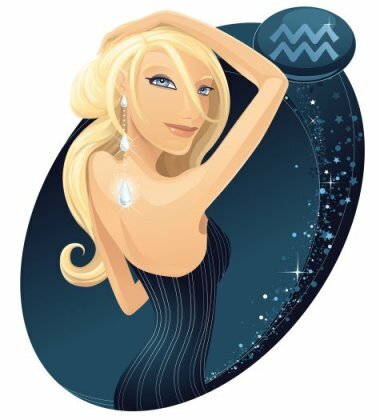 Miss Aquarius, you will be very often attracted to men who have the Ascendant or the Sun in Leo. The nobleness of their heart and their personal warm attitude enable them to fully understand the value of your humanitarian ideals. Although they are as inflexible as you when it comes to changing your mind, they offer you the complementarity you need. You will get along very well with Gemini and Libra men because, like you, they belong to the Air element, and they are signs of communication. Geminis have an insatiable curiosity, and an intense and constant intellectual activity. Since Libras are very refined and easy to get along with, they wonderfully compensate for your curt and bizarre side. Aries and Sagittarius men will also arouse your interest. You appreciate Arians' strong personality and their taste for action. They understand well the concrete aspect of things, a capacity you are sometimes lacking since your famous selflessness often thwarts your achievements. You equally appreciate Sagittarians' capacity to strive to implement high-level projects, whether of a humanitarian, spiritual or political nature, not to mention their taste for travels. You have many centres of interest in common and you are happy that they offer you the variety that you are so crazy about. There is a danger that conflicts will crop up with Taurus and Scorpio men. Taureans are too down to earth and attached to materialistic values. They are so different from you that you feel almost alien to them. Scorpios are so individualistic and entrenched in an attitude of constant provocation that after a short time, you find them unbearable because there is not an ounce of self-centredness or individualism in you. To tell the truth, you must bear in mind that adjacent signs have nothing in common. 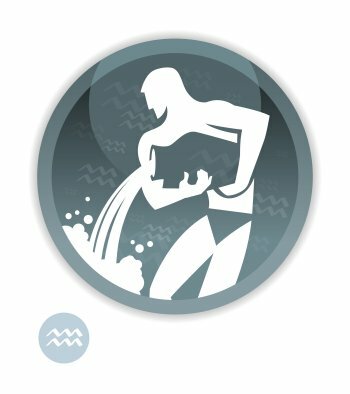 Thus, the relationship you may experience with Pisces and Capricorn men will be… a bit neutral, neither good nor bad, and certainly nothing nasty. Pisceans are probably too emotive and passive, whereas Capricorns are likely to be too ambitious and selfish for you. Virgo and Cancer men stir up in you blended feelings of warm curiosity and natural distrust. Virgos are so concrete and so predictable, whereas Cancerians are so withdrawn and dreamy that the outcomes of the challenge seem quite uncertain! Here are a few famous people with the Sun or the Ascendant in Aquarius: thousands of celebrities with the Sun in Aquarius, thousands of celebrities with the Ascendant in Aquarius!